Planning for college can be one of the biggest moments in a teen’s life, but for those students with learning and other disabilities, the college experience can be fraught with frustration, uncertainty, and lowered self-confidence. 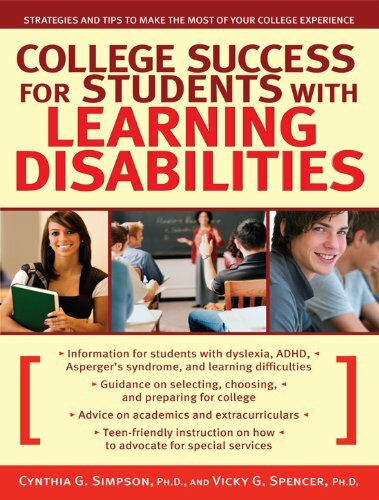 College Success for Students with Learning Disabilities offers teens the confidence, strategies, and guidance they need to effectively choose a college, get prepared for university life, and make the most of their collegiate experience. Special sections also discuss ADD/ADHD and Asperger’s syndrome.